In the current year plan the strategy has been focused on advocacy (especially in rural areas). Local influential, religious and opinion leaders, policy makers and media etc. throughout the province. IEC campaign has been relied on the mass media for creating awareness with focus on increasing visibility of service delivery points. 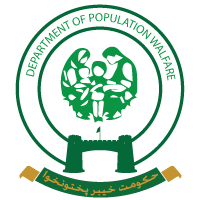 People have been made aware of family planning choice through field units.